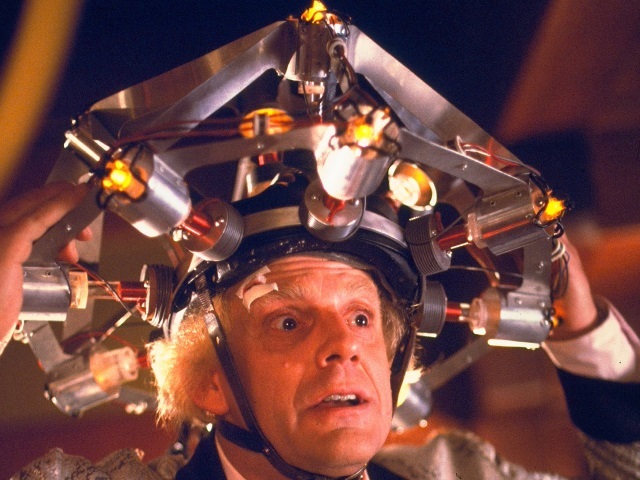 Do you want to wish Doc Brown a happy Back to the Future Day? You can, thanks to Universal Pictures Home Entertainment and Imperson. The film studio’s home-entertainment arm and the artificial-intelligence software company teamed up to bring an AI-powered Doc Brown virtual character to the Doc Brown Facebook page, and for the next 10 days, Facebook users can click the message button to initiate real-time chat conversations with the virtual Doc. The virtual Doc Brown is part of Universal Pictures’ branded messaging experience marking the 30th anniversary of Back to the Future and the re-release of all three movies in the series on Blu-Ray, DVD and in theaters. For the millions of Back to the Future fans who’ve been waiting for today since 1989, we wanted to create an experience that let them play an integral role in progressing Doc Brown’s time-bending storyline forward. With Imperson’s AI-powered character technology, we were able to develop a virtual Doc Brown in all his likeness, to truly bring the iconic movie character to life. By pioneering this conversational medium, we are bringing together two of this generation’s greatest engagement methods: messaging and social media. We are using the magic of AI to merge the worlds of science-fiction fantasy and reality, bringing people closer to the stories and characters they love. As Back to the Future fans ourselves, we feel thrilled to be a part of this historic day. Readers: What would you like to ask Doc Brown?